Interactive web report with outline and bookmark - Fast Reports Inc.
Interactive reports allow users to interact with them. For example, a report can contain hyperlinks, bookmarks and an outline. By clicking on the section title in the content you move to a bookmark in the desired location of your report. These reports are often used in catalogs. Let us create an interactive report for the Web. For this, we need a report template and a web application. We can begin with the report. Its template will consist of two pages - a content and a data page. For example, I used a database of "nwind.xml FastReport.Net" delivery. So, we use a table "Categories and Products". 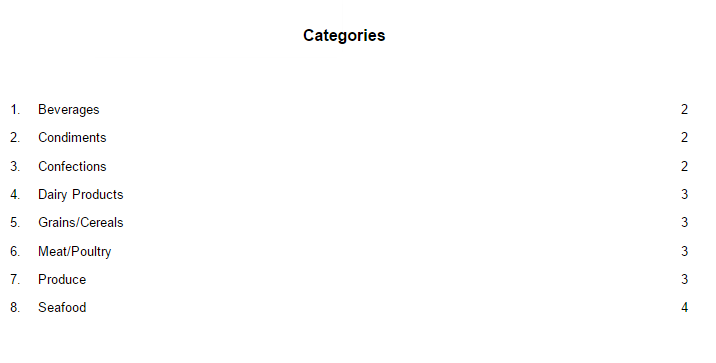 I have created a simple template with a field "Categories.CategoryName". 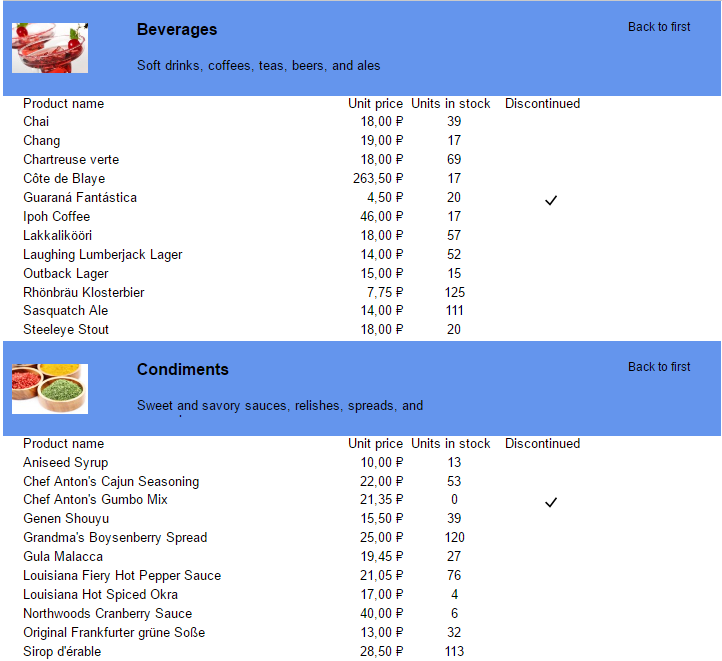 By clicking on a category a user will move to the appropriate section. We will overview this feature later. Now let us create the second page of the report . Here the band "Data" contains a detailed band. 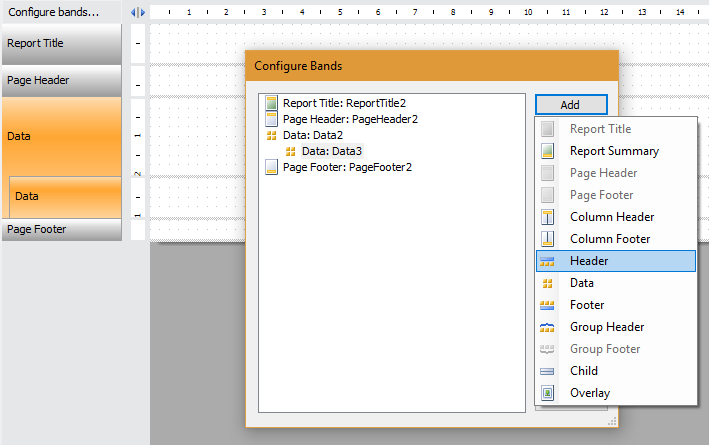 To add it, use the right click on the band "Data" and choose from the list of “Add Detail Data Band”. Drag fields to the main band “Data”: Categories.CategoryName, Categories.Description, Categories.Picture. 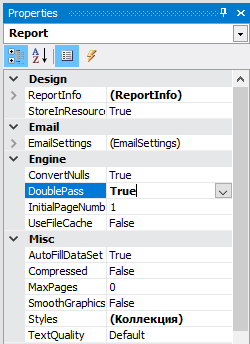 To navigate through the tabs and the formation of the content, we need to set some properties of the first data band. So, select the band. In the Property inspector find "OutlineExpression". 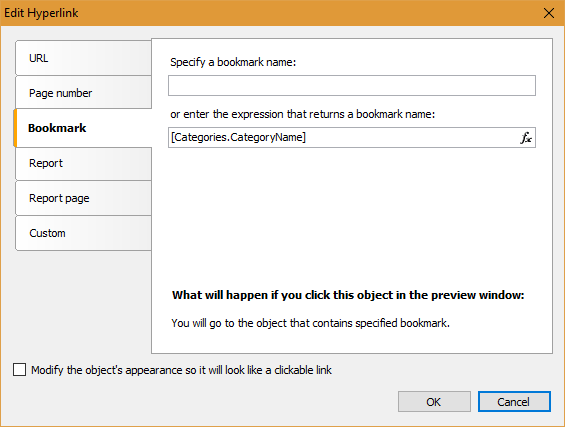 Enter the value - [Categories.CategoryName]. Just above the property there is a Bookmark. Set the same value for it. For a detailed band "Data" we set Outline property - [Products.ProductName]. 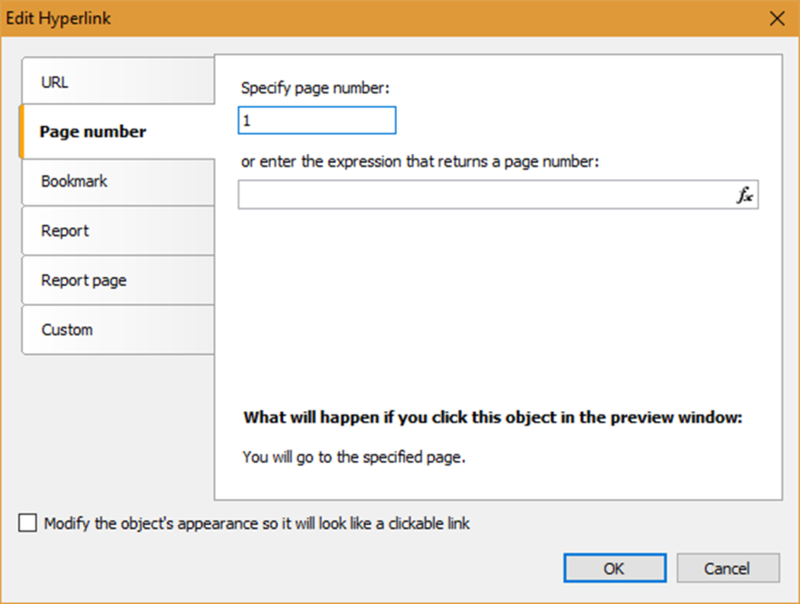 This function will show a page number for the bookmark. Now our report is ready. Create an ASP.Net MVC project. Please, add FastReports library Reference: FastReport.dll, FastReport.Web.dll. That is all with the report. To return to the contents click "Back to first". 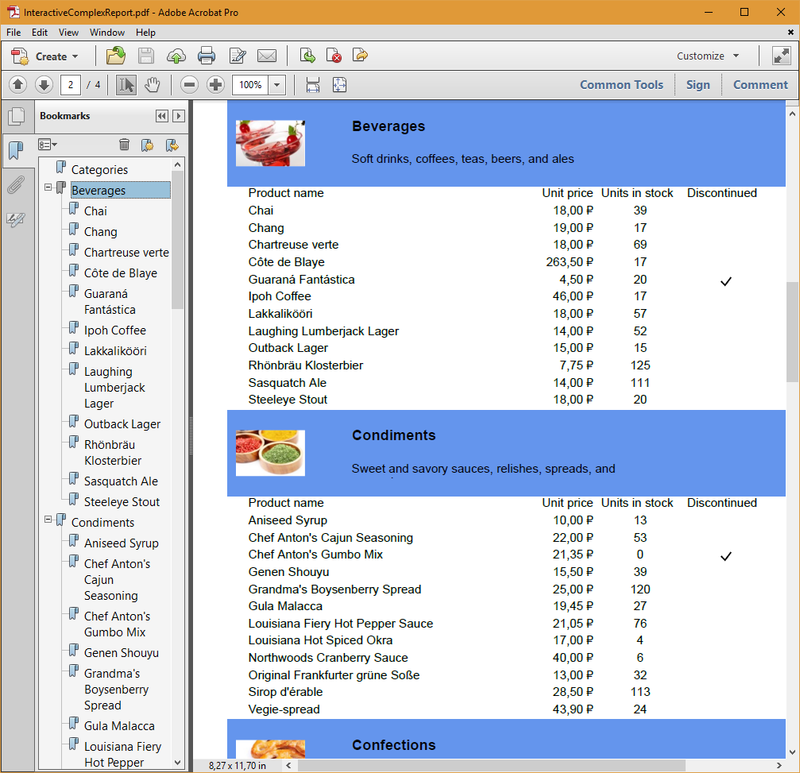 Do export of the report in Adobe Acrobat format with the icon on the web report toolbar. Here we have used the Outline property. There is a detailed report outline on the left of the page. The example given here concludes that one can make a web report more attractive and easy to use. As it was said at the beginning, this type of interactive reports is perfect to display a product catalog.